Get three Jewish mothers in one room and there’s bound to be kvetching (complaining), kvelling (bragging about the kids) and some good, hard laughter. There was plenty of all when I met with Melinda Stein and Degi Ruben last week to talk about the upcoming Holocaust Remembrance program at the Jewish Educational Alliance, though it’s pretty difficult to find anything funny about the Holocaust. Still, we managed to sneak in a few cackles here and there. Keeping a sense of humor in the face of macabre circumstances is an essential component of sanity. And, as these ladies can tell you, of survival. 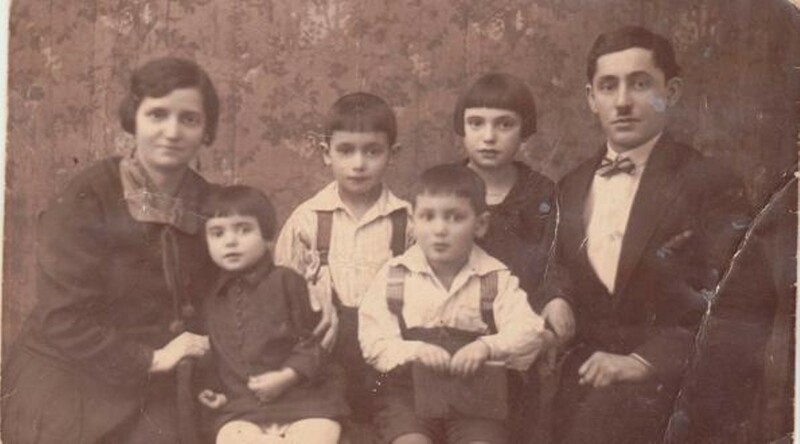 Ruth Korek of Lodz, Poland worked as a newspaper reporter before the Nazis invaded; her parents and young brothers were murdered, she and her sister were sent to work at a munitions factory in the Skarzisko labor camp. There they sabotaged bullets and endured starvation until Ruth was transferred to the picric acid plant, where her skin and eyes absorbed so much toxicity they turned yellow. The Allies liberated the prisoners in 1945, and Ruth found herself in a displaced persons camp where she married a young man who had narrowly escaped death himself. Against all odds, they started a family. While it seems such an experience would imply a life of mental disturbance and nightmares, Melinda says her parents were happy, and her mother joked and toasted “L’chaim” (“to life!”) until her death in 1963. However, Melinda always understood the admonition of those who survived what happened in Europe less than a lifetime ago: Never again. Every Jewish American has a Holocaust story. My maternal great–grandparents saw the writing on the wall in 1930s Poland and brought my grandmother to New York in the mid-1930s, leaving a large extended family behind to perish. On visits to my other grandparents in Miami Beach, I’d play around the pool with their friends, the tattooed numbers on their forearms visible as we splashed. For some, especially those who grew up shrouded by the pallor of their dead ancestors, it’s tempting to forget the horror, to put away the old folks’ pain, to get on with blessed lives in which being Jewish is just another part of a complex American identity. The minute we turn away, we leave ourselves vulnerable as a people and to the apathy towards genocide itself. Yom Ha’Shoah is as much about honoring the dead as it is fostering a tolerant, peaceful future for all people. Six million Jews were killed in the Holocaust, a third of the global Jewish population. But the Holocaust isn’t a Jewish tragedy—it’s a human one. Ten million people—a million and half of them children—died hideously under Hitler’s reign, including Catholics, Muslims, Romas, gays, those who thought differently, anybody who didn’t fit in, anyone who spoke up. “This is an event for the entire community, not just the Jewish community,” reminds Degi, who also helped oversee the city–wide Yom Ha’Shoah writing and art contest for middle and high school students with longtime Holocaust educator Sherry Dolgoff. The essays and art will be on display along with hundreds of yellow flowers colored by schoolkids as part of the “The Daffodil Project” headed by visiting Israeli ambassador Tal Bratman. The universal importance of “never again” has been heralded by Sister Pat Coward, the vice principal of St. Vincent’s Academy. For 15 years, Sister Pat has taught a Holocaust–themed literature course, and her Catholic school students participate in the JEA’s Yom Ha’Shoah program every year by displaying their artwork and witnessing the stories of the survivors. I asked native Savannahian Lisa Kaminsky, whose grandfather, Chaim Melamed, spoke about his time in the camps until he passed away last year, what we’ll do when the last survivor is gone. “When there’s no one left, we’re the ones who have to tell the story,” she said. May we have the courage to keep on telling. And keep on laughing. The Yom Ha’Shoah program is free and open to all on Thursday, April 19, 7–9 p.m. at the JEA, 5111 Abercorn St.